Come here to find ideas and lessons to incorporate EEi into your instrumental classroom. EEi is very powerful, but there are some very simple tools and resources to use in your class right from the start. Regardless of your classroom tech capabilities, EEi can be used to help your student from day one. In this brief 20-30 minute webinar, we will show you a variety of techniques to engage students using EEi. We will share some effective ways that EEi teachers are using student recordings and the grade book to encourage students to focus on the right things when they practice. Counting exercises can focus on precision, but we need to be certain that students understand the rhythms. Writing the counts under the rhythms is a more concrete and visual way to help students understand how rhythms work together. Having a well-defined rhythm writing system is an important first step. 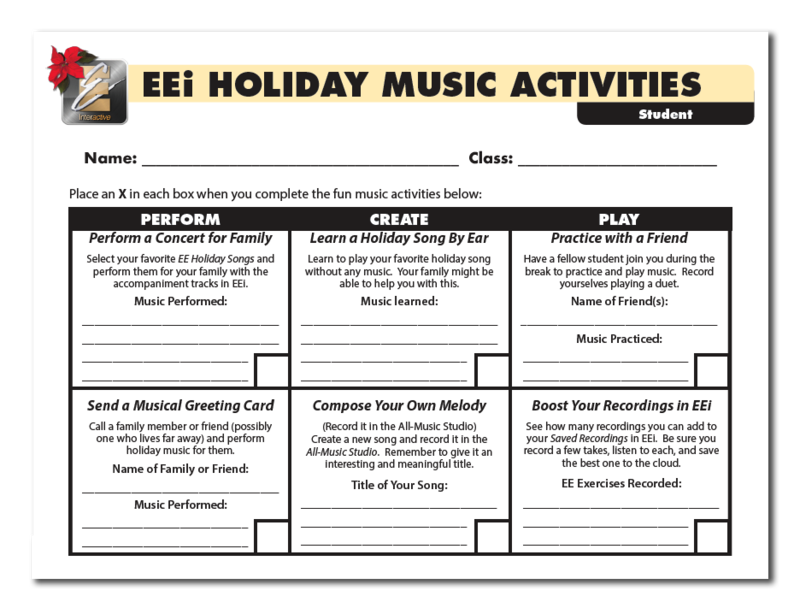 Did you find the EEi Holiday Music Activities Sheet in the resources section? This is a fun way to help your students perform, create, and play. This sheet is designed to keep your students making music over the holiday break. Click below for ideas to help your students increase their love of music over the holidays. 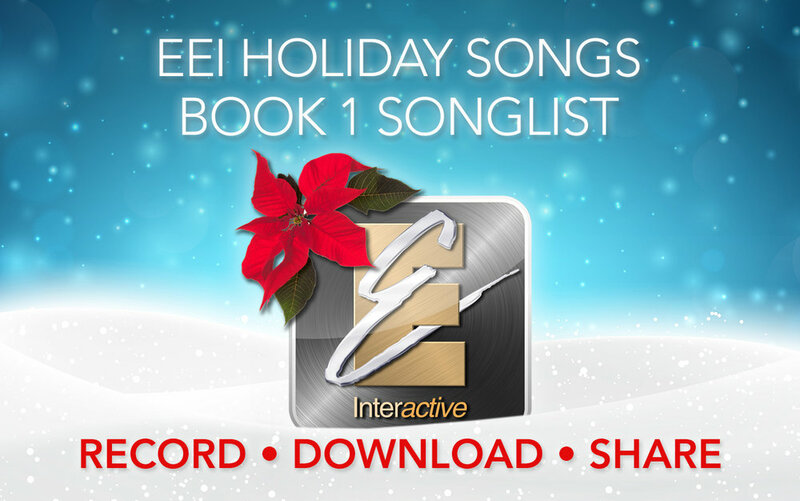 EEi offers several holiday favorites as additional songs in the Book 1 Music Studio. These melodies are perfect for beginning band students and come with a couple of accompaniment options - piano or professional musicians in a pop/jazz combo. These are sure to be a hit for the holidays! Beginning students often come to your class with some musical knowledge, but it is important to make sure everyone is on the same page. EEi comes with an array of music theory worksheets to introduce and review foundational music theory concepts. It can be very helpful to for brass players to practice music on their mouthpiece. In EEi, you can play along with a professional musician on your instrument and match their pitch on your mouthpiece. Help your students focus on rhythmic accuracy when they practice. This simple assignment will help them practice and evaluate their own rhythmic accuracy. Eventually this simple practice technique may become a regular part of their daily practice routine. Should we allow our bass players to sit while practicing and playing in orchestra or always ask them to stand? Sitting vs. Standing while practicing and playing the bass is an issue that many orchestra directors and bassists face.